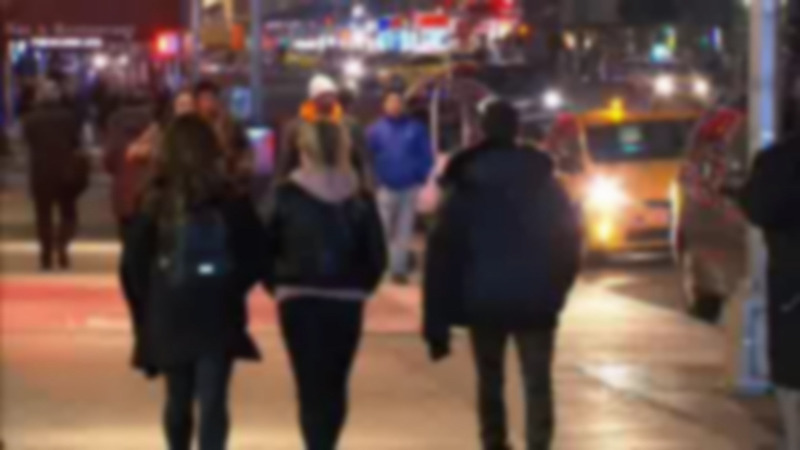 MIDTOWN, Manhattan (WABC) -- A 42-year-old man was charged with assault on Tuesday after he attacked two tourists just minutes apart near Times Square last weekend. Police say that Elier Leon was responsible for the apparently random and unprovoked attacks while using a metal clamp on his fist. The first attack took place at approximately 3:28 p.m. on Sunday afternoon when a 62-year-old man walking on Seventh Avenue between West 51st Street and West 52nd Street was punched in the face. Leon then supposedly struck a 37-year-old man in the face a few minutes later near West 51st Street and Seventh Avenue. The first victim needed stitches to his chin, while the second victim suffered a bloody nose. According to the Manhattan DA's office, when officers were trying to arrest Leon, he flailed his arms and legs and caused minor injuries to one of the officers. Leon is currently being held on $5,000 bail.